Things are underway as soon as you get past the title screen – dramatic cutscenes play out as you take control of a small team of soon-to-be-trapped warriors, attempting to save Dalmasca while being lured into a nasty trap. At this point in the game, you’re given little-to-no information on who you are, or what you’re doing – the game often leaves players to piece together important plot points themselves from the often-obtuse dialogue, filled with esoteric references to the kingdom, countries and politics. 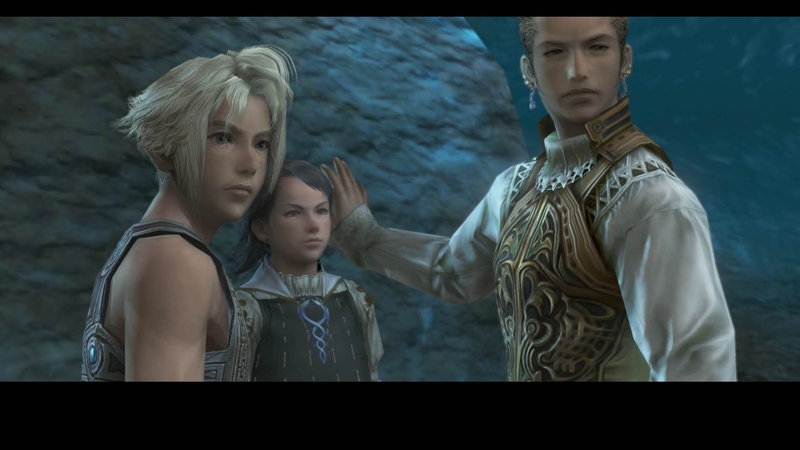 Once the game starts proper you play as the orphaned Vaan who rapidly gets caught up with sky pirate Balthier and Fran and goes on a journey that includes invading prisons, army bases, kidnapping a princess and bringing peace to the land. Not exactly a small task – and it’s a task that’s difficult to care about, at least at first. Final Fantasy XII wants you to play for the long-haul, and, eventually, all of the esoteric JRPG nonsense that’s thrown at the player becomes palatable and even understandable – you might even begin to care about some of the characters. When it comes to Final Fantasy XII’s unique battle system, well, it’s easy to see why they haven’t used it again since. Your party makes actions, such as attack, magic, item, etc., and then an action cooldown bar times down until you can use another action. Party members can have a “Gambit” system organised which will sort specific actions for characters to perform – magic, heals, attacks – and in which order they should be prioritised. The Gambit system is nice, as it has to be one of the most responsive and immediate passive ways to control extra party members that JRPGs have – that is, once you unlock the massive library of different actions your characters can perform. Your main character can be given a Gambit system too, which then, in turn, makes the game play itself. It sounds absurd, but that’s very close to what happens. All you need to do is walk into the aggro range of enemies, and with the correct Gambits set, your whole party will spring to life and defeat the foes, all the while keeping themselves healed, with little to no input from yourself. Couple this little tactic with the game’s Speed Mode, which allows you to play the game at either 2x or 4x speed, and then change the Battle Speed to Fast in the Config menu, and you have the ultimate grinding method. But this tactic also comes with a downside – you’re not really playing the game much. It turns a potentially detailed, strategic real-time chess into a game of checkers which plays itself – the only real satisfaction coming from your character builds being able to perform so well thanks to your preparation – but even then, when the player has to press so few buttons, it’s hard to feel a sense of pride. Yes, absolutely – you can turn off the Gambit system, and you can control each member’s actions individually – but why would you? Few enemies require more than the basic tactics you can set out in the Gambit menu early on in the game, and for everything else you can jump in to specify a few actions whenever you require – which is rare. 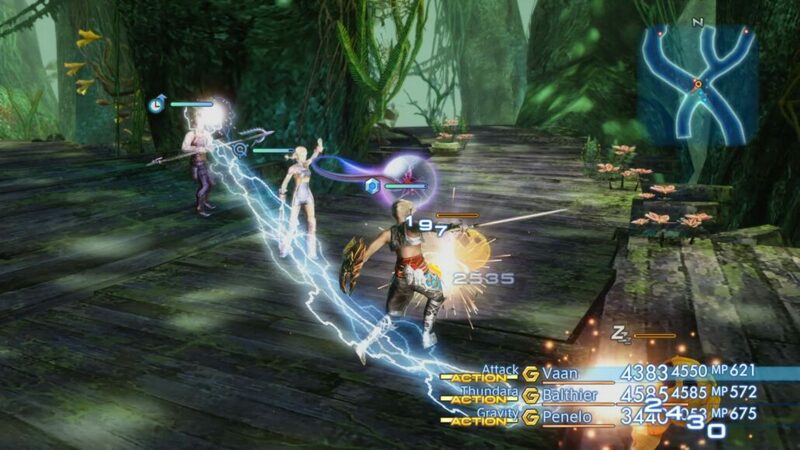 When played with the Gambit system in place, with Speed Mode turned on, Final Fantasy XII: The Zodiac Age quickly becomes something more akin to a movie – with few inputs made by the player, but regular cutscenes and other story scenes to watch. It’s shocking how, when played like this, you can easily see how this battle system led to the disappointing Final Fantasy XIII. But how does The Zodiac Age stack up in the modern era? Well, surprisingly good, for the most part. Textures are almost all uniformly sharper – although, still not up to PS4 standard. Areas already feel surprisingly large and load gates aren’t too close together, making the game still feel like a big-budget modern JRPG title. There’s a Trial Mode too, allowing players to take on challenges and earn items for their single player game. The highlight of The Zodiac Age’s improvements has to be the soundtrack however, which has been re-orchestrated and sounds fantastic. 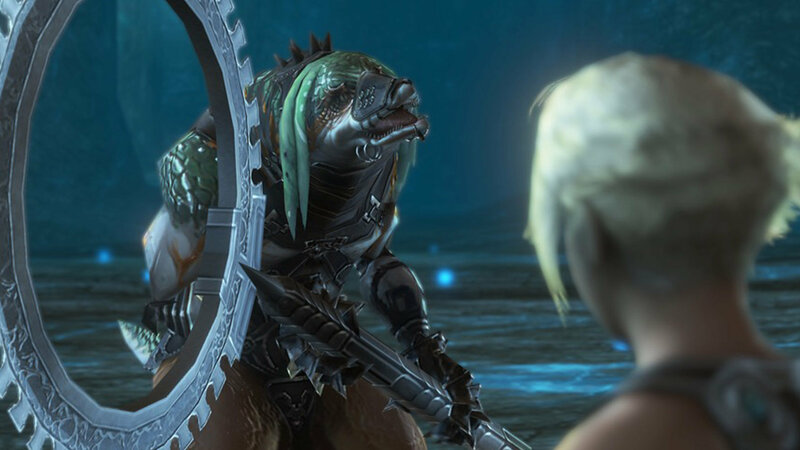 Outside of these improvements though, Final Fantasy XII: The Zodiac Age shows its age. Voice acting is taken from the original PS2 audio so it sounds compressed and awkward, areas aren’t exactly detailed, character models are – while impressive for the time – strange looking and have stilted animations. It certainly doesn’t hold up to most modern standards. And that’s ultimately the problem – Final Fantasy XII: The Zodiac Age is every bit as good as it was back when it launched, but it also feels like the beginning of the end for Final Fantasy – the genesis of the slow decline into developing games like Final Fantasy XIII. In addition to that, it just hasn’t aged as well as many would liked to believe. Review copy provided by the publisher. You can buy the game via Amazon. If you played Final Fantasy XII: The Zodiac Age back in the day and want to go back for nostalgia, you’ll love this. If you’re a new player interested in playing for the first time – keep in mind that this is definitely a game that shows its age. Though, if you have sufficient patience, it’s a story well worth investing in.